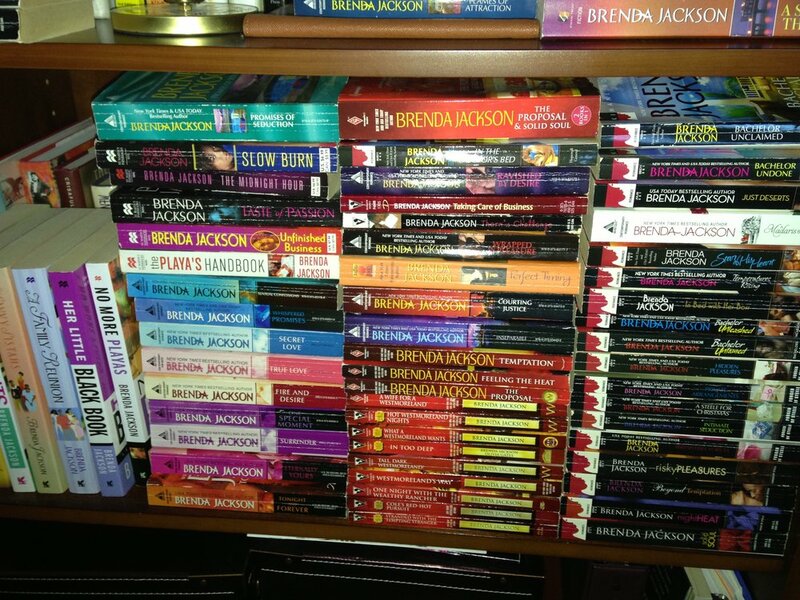 My Brenda Jackson Book Collection! Reading and writing are two of my FAVORITE things to do. I read to escape, from work, from daily pressures, to get out of my own head. I read to see how others live and love. To explore parts of the world I have not yet discovered. To see another’s perspective and views on the world. When I read, I hear new voices. Voices other my own. I can think about what life could be, outside of my regular day to day. Reading was the way I started to expand my mind, to begin to discover all the possibilities I might pursue. Reading the stories of others made me realize that my own story was worth telling. Time to read is an important activity that I just have not put enough priority on. When I set aside time to read, I feel free and unburdened. Reading takes me to another place. A place where I can dream and think about the world and possibilities for the future. Reading draws out the creativity deep inside me that my typically analytically focused mind seems to crowd out. I am by nature analytical first. Creativity takes time and work for me, but when I reach that place of creativity, I can be BRILLIANT! There are always so many other things to do. Those things that take priority before I can settle down with time to read. I’m not that girl who can read during the weekends or on my daily commute. There are too many other things that take precedence in each day. Those things that would keep me from concentrating on reading anyway. So I tend to collect books. Books that I plan to read on vacation or long plane rides. I have been known to read 2-3 books back to back while away on vacation. I have at least 100 books in my “retirement” collection; books I plan to read when I no longer have a grueling daily commute. Most are classics, American literature, Black history, the BIBLE. Many I have read but all are books that I want so much to read… that I need time to savor. I can’t wait! No that’s not a hint that I am retiring soon. Just sharing a thought regarding how I intend to spend my time, when I have some. When I am tired or stressed, I crawl under covers with a romance novel, usually one by my favorite author Brenda Jackson. Brenda has written over 100 books and I own and have read every single one of them. Some multiple times. Brenda’s writing takes me away from the day-to-day pressures of life to a fairy tale of my own. To a place that I know may not exist, yet it feels glorious when I get lost in her words; and when I’m done, usually overnight or within only a few hours, I am replenished and ready to jump back in to the grind. It’s difficult to explain. I just know that reading has always been an escape for me. Thank GOD I can read! While reading allows me to escape, writing gives me the opportunity to express. Express my troubles, my feelings, what I have learned, my dreams. When I read, I think more clearly. When I read, I am inspired to WRITE. Reading about someone else’s story reminds me that so much of my own story is still untold. Lessons in my life that are worth telling. Inspiring words to boost the spirits of others flow freely when I’m writing. I don’t have a bucket list. Maybe I should. But there are things I enjoy doing and reading and writing, thinking and dreaming, top my list. Making time to read and to write is high on my priority list. In addition to the books I plan to read, there are at least a dozen books in my head, some I have started to draft that I want to write one day. I will write a book on leadership. I dream of writing a romance novel. The thought makes me chuckle. ME...a romance novelist! Brenda Jackson watch out. You’ve inspired me. This girl is going to give you some competition!